An Insider's Guide to Auctions provides you with everything you will need to know to win at auctions...the greatest game for grown-ups. Go armed with information and a smart mindset, and you can find real treasures and bargains. Go without some knowledge of the auction game...and you can get stung. 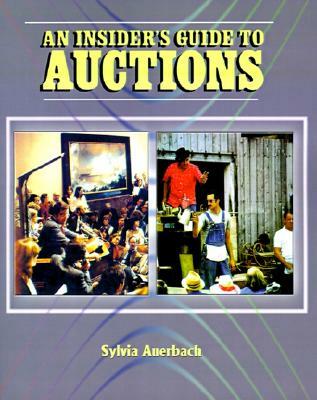 This guide teaches you how to do your homework before going, such as evaluating the auction catalog, judging the values of the goods, and spotting the great buys. You'll understand who sets the starling bids and the tricks they use, and get tips on making your bid and when to stop. You will also learn how to prevent auction "fever." In addition, you'll learn how to organize and sell your own items through an auction house. An Insider's Guide to Auctions is the buying, selling, browsing, bargain-hunting guide for the novice and the veteran...from country auctions to Park Avenue.